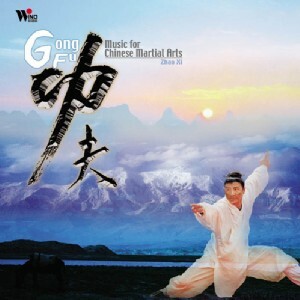 "The true key of Gong Fu lies in one's mind. To master a martial art is to master one's mind, and therefore, 'mind' has become my major concern. In fact, Chinese love Gong Fu so much; not just because of physical benefits, but also because of their hope to achieve a state where they are one with heaven. A Gong Fu master can control his movements with quietness and defeat chaos with lucidity for he knows his heart lies in the Tao. In making this CD, I added various sounds of weapons to enhance the feeling of immediacy." - From the Composer Mr. Zhao Xi.